"Where will growth come from in 2017? It will probably come from this book." 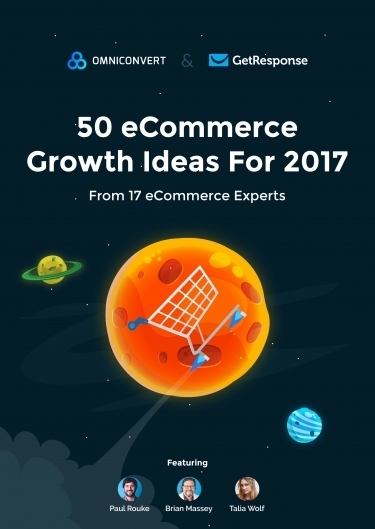 During the holidays, 17 eCommerce experts from 8 countries, invested 60 hours of their time to write this ebook with 50 fresh growth ideas for your eCommerce.Based on the knowledge experts gained throughout time and the ability to envision what's going to be the next big move, this Ebook comes as a game-changer in the world of eCommerce in 2017.